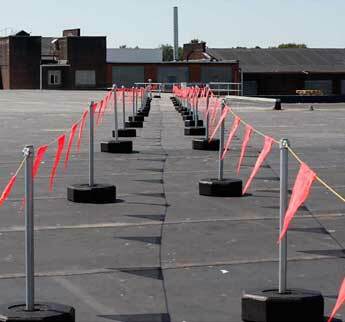 Some rooftop configurations include parapet barriers along their perimeter. 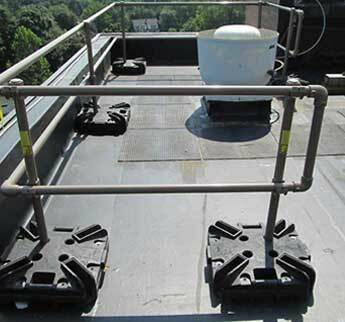 In these cases, mounting FlexGuard Parapet railing directly to the parapet is a cost-effective way of implementing rooftop fall protection, while avoiding penetration of the roof membrane. 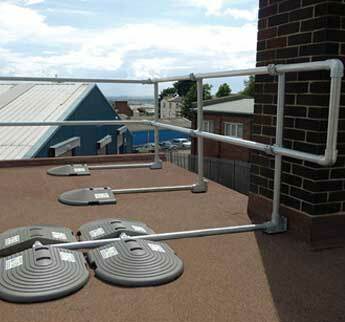 FlexGuard Parapet railing uprights are directly screwed to the rooftop parapet. 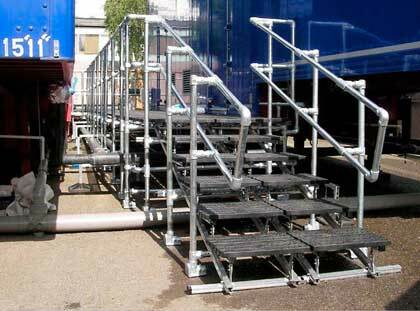 Depending on the height of the parapet, uprights may have one or two rails. 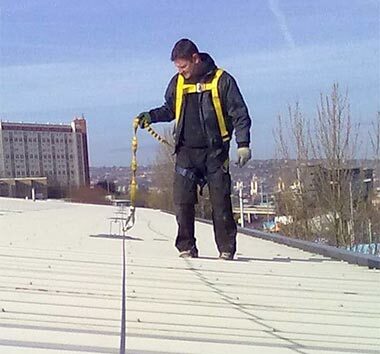 Because each component of FlexGuard Parapet is modular and fastens together with set screws, installation is very simple, with no special training or tools needed. 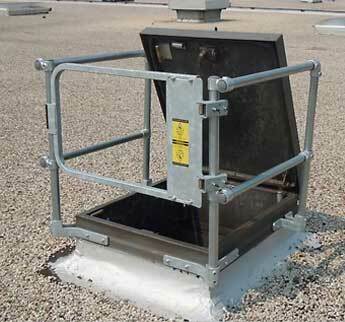 Because parapets elevate above the rooftop surface, in many cases the FlexGuard Parapet railing systems requires significantly less railing than when mounting the system directly to the roof surface. 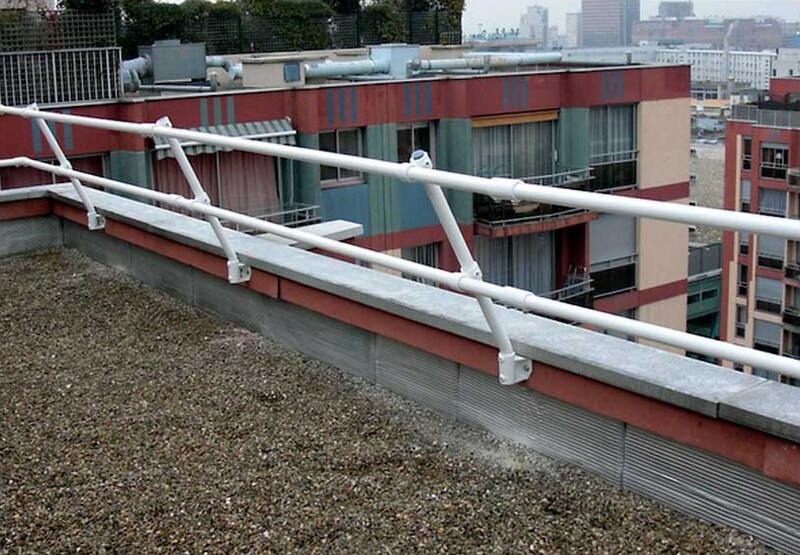 Parapets over 21″ tall only require a single railing. 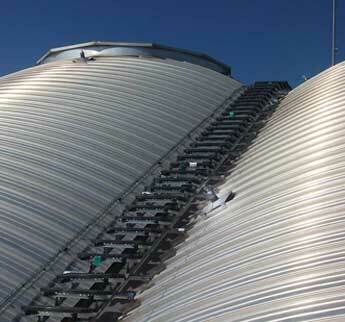 This can result in as much as a 40% savings in the cost of the railing system. 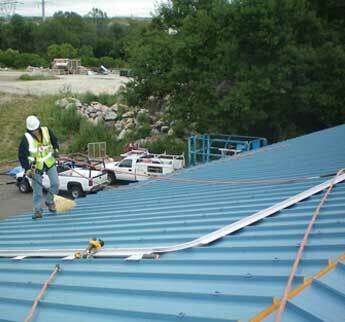 Roof surfaces are frequently uneven Safety railing that is mounted directly to a roof surface can result in a distracting unbalanced railing that is inconsistent with the profile of the roof. 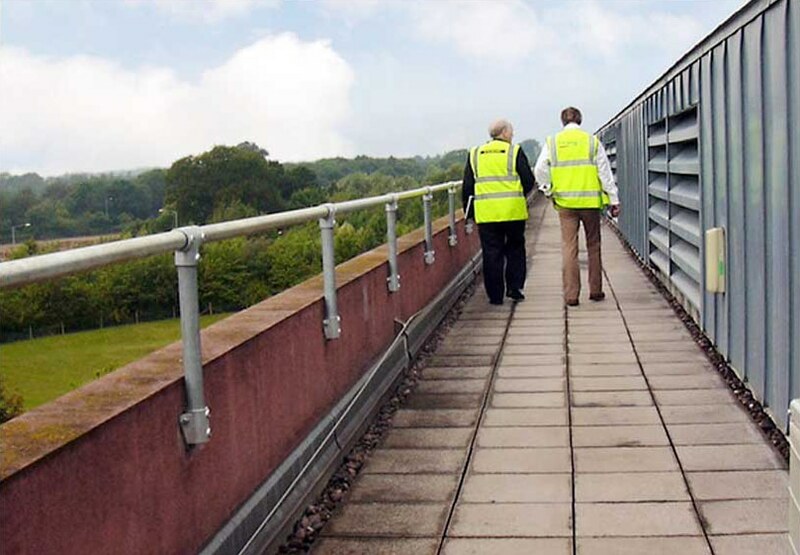 A system that attaches directly to the building parapet remains level and matches the lines of the top edge of the building. 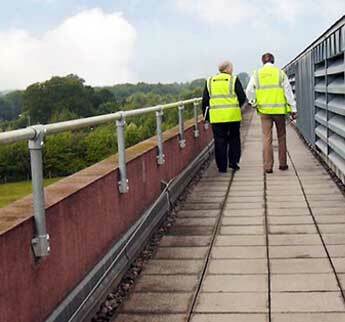 FlexGuard Parapet also includes the option of special base flanges that angle the railing back and away from the roof edge, making the railing harder to see from the ground and preserving the look of the building. 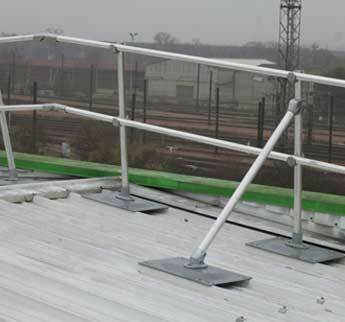 The FlexGuard Parapet railing system is modular in nature allowing it to be easily customized to connect a contiguous railing to any building’s rooftop. 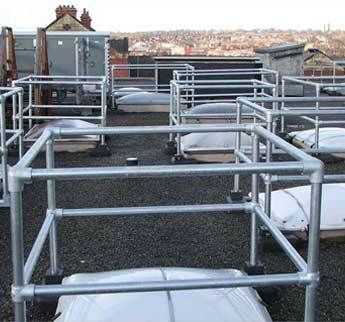 Specialized fittings allow the railing to turn at any angle that is needed to secure the perimeter of the rooftop. 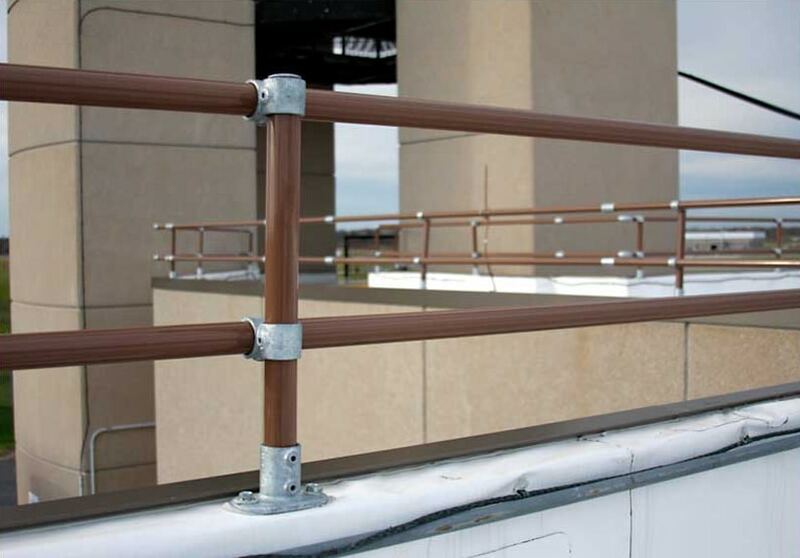 FlexGuard Parapet’s inline connectors allow the railing to maintain a contiguous form. 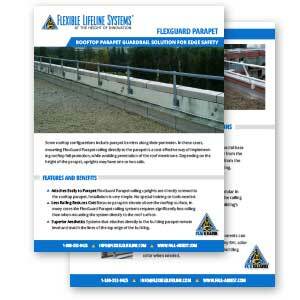 The FlexGuard Parapet railing system components can also be powder coated in their entirety to any RAL color allowing the system to coordinate with the building color when needed. 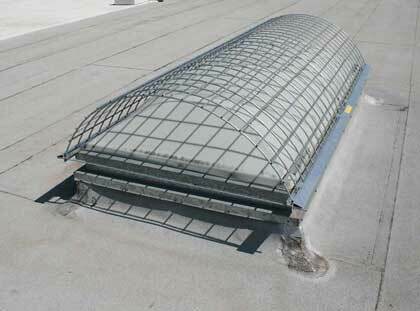 FlexGuard Parapet components are galvanized and have no weld points making them less susceptible to rust. 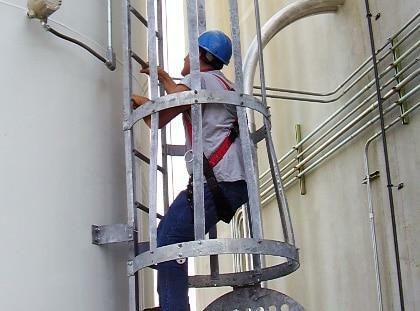 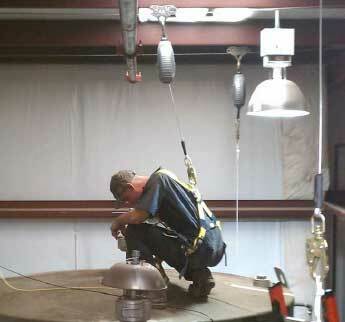 Each fitting and pipe are connected with set screws that form a sturdy, lasting connection. 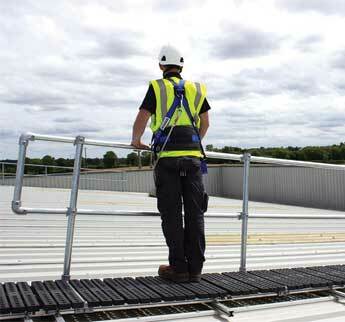 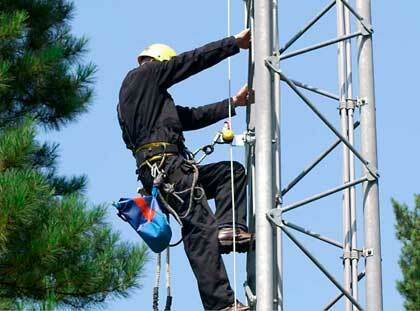 We have railing systems that have been in place providing rooftop fall safety for decades!